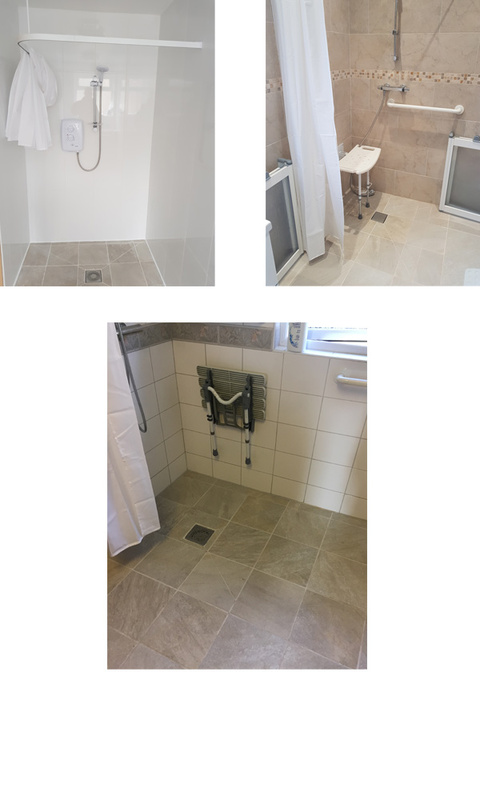 Our highly trained & experienced team can turn almost any space or existing bathroom into a shower room or level access wetroom to meet your needs. We can offer a complete service from start to finish so you can just sit back and let us take care of everything. You can choose which tiles, fittings etc. you require so that the finished room meets both your needs and style completely. We can offer a range of grab rails, shower seats and raised toilets to make time spent in your new wetroom as safe and enjoyable as possible. For those needing that little bit more we can supply and fit a range of wash/dry toilets, shower stretchers, hoists etc.